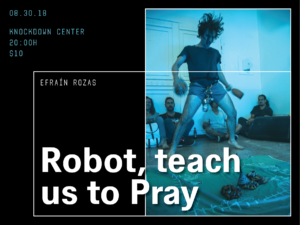 I will present a robotic sculpture that generates polyrhythmic patterns as a part of this group exhibition that analyzes the relationships of different ethnic backgrounds with new technologies, the body and ritual. 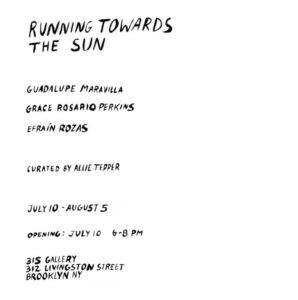 315 Gallery in Brooklyn, NY. Hope to see you there on July 10th for the opening!My piece was made possible with funds from the New York State Council on the Arts in Partnership with Wave Farm. I received the Harvestworks New Works Grant/Residency for Myth and Prosthesis. 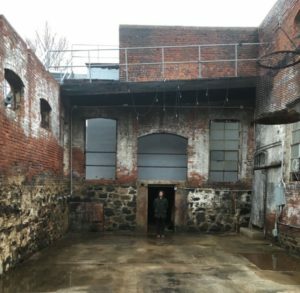 I am excited to work with some of the most interesting artists and technicians in New York. 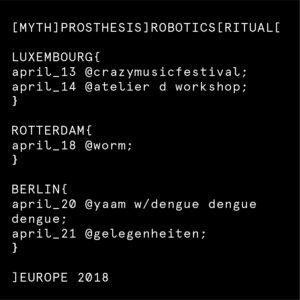 My aim in this one year residency is to make my robot interact visually and sonically with the different levels of rhythm of reality. I am delighted to announce that I received the The New York State Council on the Arts and Wavefarm Media Arts Assistance fund to present 3 Installations of the Prosthesis and Myth series in NYC. It is an honor to receive this award from such prestigious institutions. Te imaginas lo aterrador que debe ser para una oruga convertirse en mariposa? Tengo la esperanza de que la muerte sea así. Dos chicas guapas sentadas juntas con las piernas entrelazadas parecen normales pero una tiene cuatro piernas y lleva en su regaso a la otra que no tiene piernas. Es un demonio doble que se reencarna en madre e hija de una misma familia actúan juntas son bastante destructivas hacen muy difícil la felicidad. A veces ayudan a algunas almas a quedarse en un plano, esto último es adictivo y hace que se olvide la realidad. Muchas reencarnaciones. 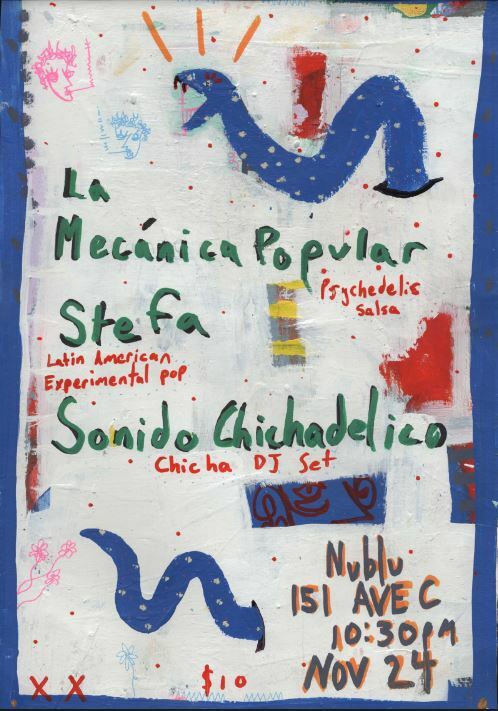 Un radioaficionado solitario cuya programación nunca fue sintonizada por nadie. que le llegaba hasta la rodilla.